New in! This lovely shirt by River Island, It's also the last item I just put in my suitcase. Only a few houres to go and I'm off to the airport, now I'm finishing the last things like cleaning up my room and stuff, than a lunch with my parents and then it's time to leave! Right now I'm really excited, hopefully I can give you some updates soon. Waauw ontzettend gaaf! 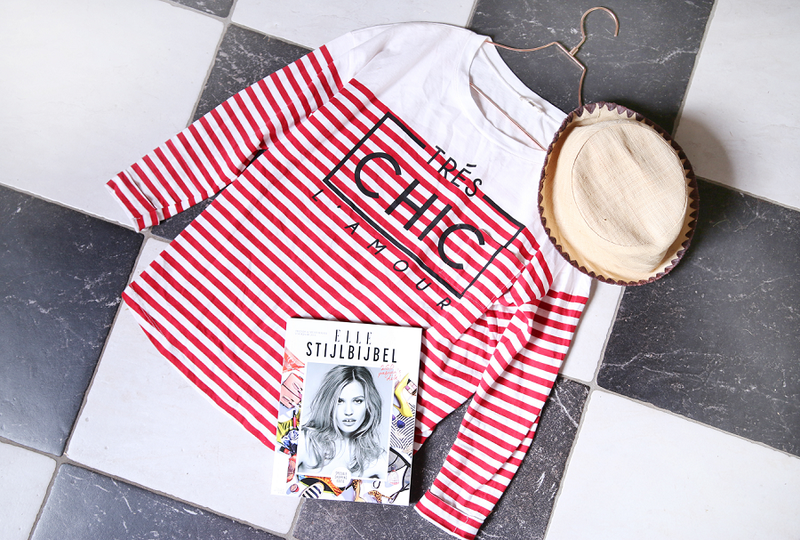 Love your blog btw, ik ga je volgen! Wat een leuk shirtje! EN heel veel plezier en een goeie reis! Wat een geweldig mooi shirt, ik hou wel van dat Bretonse! Oohh wat een mooi shirt!! Dat shirt is echt heel erg mooi! Gaaf shirtje, en goede reis!